As we've mentioned before, Hatha Yoga works under the assumption that supreme control over the body, or the physical self, is one path to enlightenment. 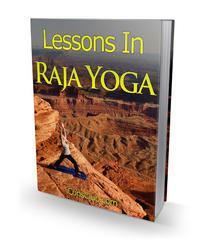 Hatha Yoga is a sort of spiritual fitness plan in which balance is a key. Attention to the physical is foremost in Hatha Yoga; this particular type of yoga involves cleansing rituals and breathing exercises designed to manipulate the body's energy through breath control, in addition to the postures or exercises for which Hatha Yoga is commonly known.